Etiam ac libero mattis, aliquam lectus eget, maximus massa. Phasellus venenatis nisi nec mi vehicula porttitor. Praesent tellus leo, tempor a leo at, fermentum ultricies purus. Aenean hendrerit tempor dolor ac congue. Curabitur non volutpat tortor, sed fringilla nisi. Sed sed vestibulum sem. Nam sed nunc in velit consectetur viverra ut sit amet justo. Nulla at varius ante. 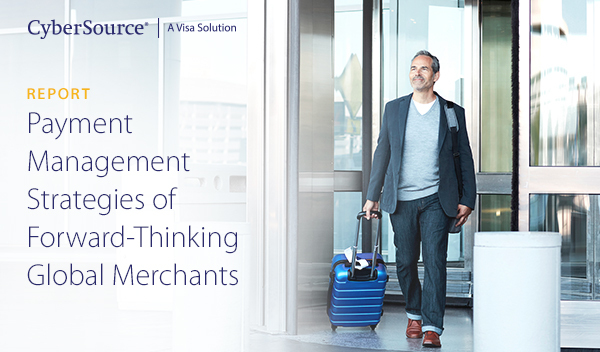 As merchants strive to meet the demands of new markets, it’s important to keep up with global payment trends and best practices. With that in mind, CyberSource and the Merchant Risk Council surveyed 484 eCommerce payment specialists at companies around the world as part of the third annual Global Payments Survey. Read the report to take a page from the payment management playbook of today’s most forward-thinking companies.